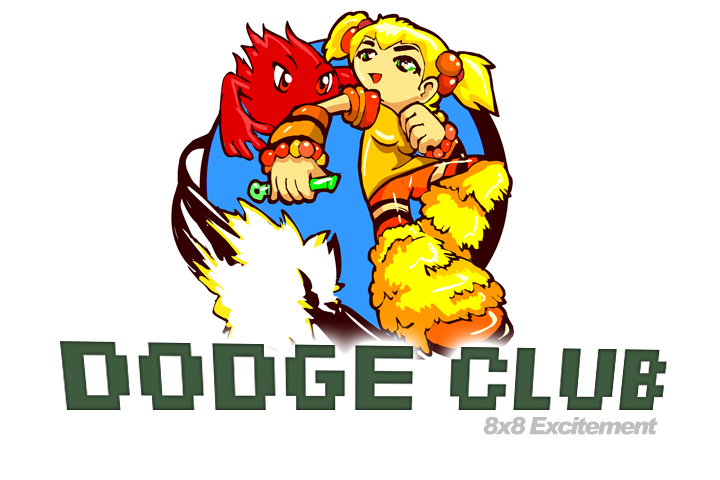 Download "DODGE CLUB Casual" - 341 KB Also, for a less intense DODGE CLUB experience, try this NEW version! Made JUST for Kokoromi and their hot dance party event, gamma256. For a long time, I've imagined a fun sport/video game hybrid game that people could play by running around in a small darkened room, and interacting with some type of reactive wall & floor projections. I don't have the means nor the technology to make this real, so as the subject of my gamma256 entry based on the theme of abnormal resolutions... I've decided to represent as closely as possible the experience I imagine, with an 8x8 pixel game. I've been waiting to express this concept for a long time, and this seemed like the most inviting way to do it. Well, it's called DODGE CLUB. The idea can be figured out quite easily, thus I have prepared no detailed instructions. The included help file, however, does go into a bit of explaining regarding my take on what it's all about. This is about the closest thing to instructions I can include. 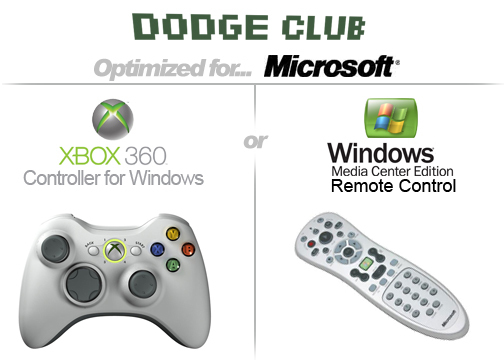 "What is the meaning of DODGE CLUB? You don’t have time to ponder such questions, as a fireball phantom is lunging right at you! DODGE! An electric spark circles the outer fence of the ring, frying anyone who gets too comfortable. DODGE! Who can last the longest in this pit of danger? Challenge your friends, or attain the day's Top Score!" So, I hope you'll all enjoy it. Don't get fried!